Zion is often discussed in terms of big-adventure hikes such as the Narrows, Angels Landing, or the Subway. 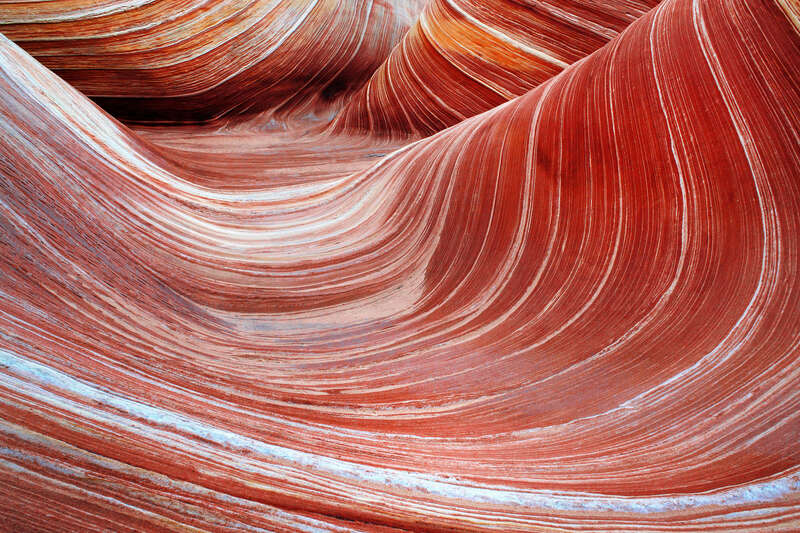 Hikes like these have deservingly gained monumental reputations among park visitors. They pack a high level of outdoor adventure, yet are relatively easy for most enthusiasts to enjoy. Zion is also home to a handful of shorter, family-friendly hikes that pack quite a punch in terms of scenic prowess. Some of these hikes are more well-known than others, but they’re all suitable for a wide range of age and ability. Park your vehicle on the north side of Utah Highway 9, just east of the Zion-Mount Carmel Tunnel. The hike is one mile round-trip, and only climbs about 190 feet in elevation. The trail skirts around sandstone cliffs, junipers trees, and hoodoos before ending with a spectacular view of lower Zion Canyon. The hulking East Temple floats above your right shoulder, and in the distance you can catch views of the Streaked Wall, the West Temple, and The Altar of Sacrifice. The trail is easy to follow, but those with acrophobia may dislike some of the cliff-hugging segments. Most of the exposed trail segments have handrails, but young children should be watched closely to avoid a potentially disastrous tumble. 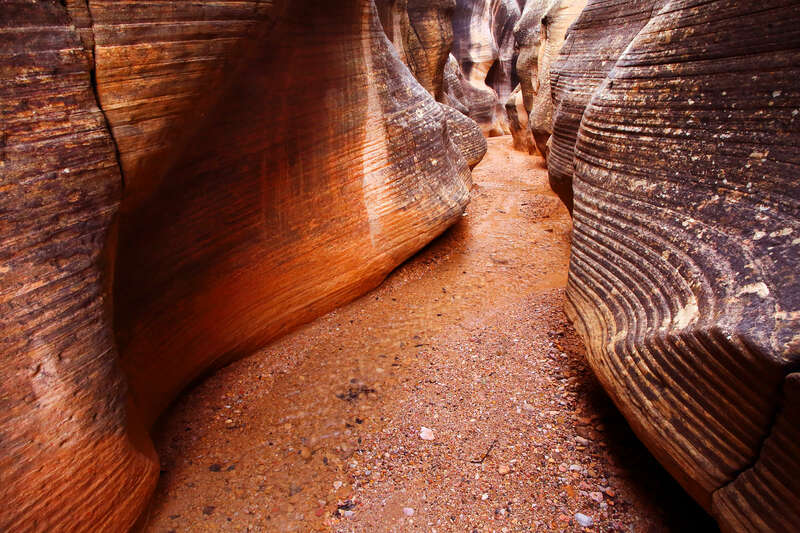 For most of its length the trail follows Pine Creek Gorge, a deep sandstone cleft favored by canyoneers. 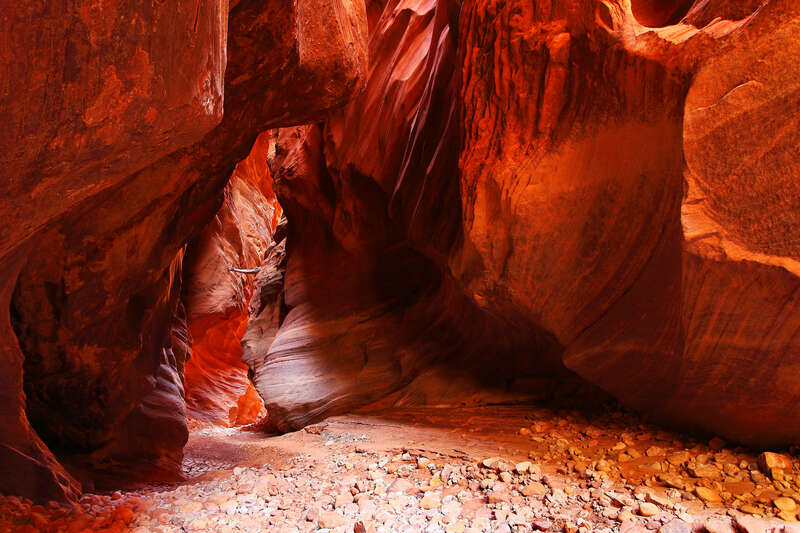 Peer into the depths of the slot canyon as you pass—see if you can catch a glimpse of the bottom. About halfway to the overlook, the trail opens into a seeping alcove lined with dripping maidenhair ferns and grasses. It makes for an ideal spot to rest if one of your group members needs it. Keep your eyes open and scan the cliffsides; visitors occasionally see bighorn sheep or mule deer among the rocks. The Emerald Pools trail meanders along the west bank of the Virgin River before climbing up into the bottom of Heaps Canyon. Park your car at the trailhead across the road and just north of the Zion Lodge. The Lower Emerald Pool trail is paved for most of its length. In just over a half-mile, the trail leads visitors to a lush alcove that shades the first of the three pools. Mist sprays from a waterfall that streams over a sandstone lip, and water seeps from cracks in the stone. Lush hanging gardens of ferns and wildflowers drip in the shadowy recesses. The trail skirts behind the waterfall, then climbs up between the rocks to the top of the cliff. If you follow the trail upwards, it will lead you to the Middle Emerald Pool after a few brief switchbacks. The distance from the Lower Pool is about a half-mile, with a little over 100 feet in elevation gain. The middle pools are really just small puddles that form as the water flows across the slickrock shelf above the falls. The first stream hikers encounter drains out of Behunin Canyon, one of Zion’s more popular canyoneering routes. The second stream, located over a small ridge, flows out of Heaps Canyon. Make sure kids don’t stray past the chained posts. Overhanging ledges and slippery, algae-covered rocks pose a real hazard near the edge. The shelf of the Middle Pools affords a great view of Zion’s rock formations, including The Spearhead, Lady Mountain, and Mount Majestic. The trail to the Upper Emerald Pool heads westward from the Middle Pools. It follows the small ridge between the two streams. The upper pool is only about a quarter-mile away, but the trail is a bit steeper and rougher than the previous segments. The Upper Pool is more secluded and scenic than its lower cousins, making it worth the effort to visit. Watch for canyoneers exiting Heaps Canyon behind the pool. The Riverside Walk trail starts from the Temple of Sinawava parking lot. The trailhead is located at the far north end of the Zion National Park Road. This trail is an easy stroll that follows a mile-long stretch of the North Fork of the Virgin River. The trail takes visitors up to the point where the canyon walls begin to draw together, and the river rolls out of the Zion Narrows. This is a popular hike; so don’t expect any alone time. The trail is paved, relatively flat, and accessible along its entire length. Trailside signs and exhibits describe the geology and riparian habitat zones found along the riverbanks. The hanging gardens, swamps, and seeps in this part of the canyon provide a home for a variety of animals, including mule deer, rock squirrels, canyon tree frogs, and tiger salamanders. At the end of the trail, a short set of stairs leads down into the shallow river water. Kids will enjoy splashing in the clear teal-colored water, shaded by thousand-foot cliffs on each side.